Good time management skills are essential for maintaining a healthy work-life balance and keeping your stress level in check. Improving your time management skills can help you raise your productivity, save time, and meet important deadlines without overburdening yourself. Prioritizing your task list will help you cover all your important work first and give you enough time to deal with personal issues. Minor tasks can often waste a significant amount of your precious time. Tackle the low priority tasks when the important ones are out of the way. The ideal way to organize your life is by creating a well-thought out schedule and sticking to it at all costs. Scheduling your tasks will help you streamline your efforts and avoid wasting time engaging in fruitless activities. Procrastination will only make your work pile up and decrease your productivity. Always take a proactive approach toward solving problems. This will enable you to cover more work in a shorter period and allow you to pursue other interests. It is a common misconception that multitasking can speed up your work. On the contrary, it slows you down because your concentration is divided amongst the various activities you are undertaking. The end result of this is that you are not able to get anything done properly and your productivity suffers instead of improving. Panicking in difficult situations will only make matters worse. Avoid panicking when confronted with tight deadlines and approach your work with a clear and level head. This will enable you to deal with work related problems in an effective way and avoid making unnecessary errors. Never try to bite off more than you can chew. Always take on a workload that you can easily manage without stressing yourself out. Delegating tasks can help you free up valuable time that could be spent on recreational activities to help you relax. Be sure to delegate minor and unimportant tasks to your subordinates. This will enable you to concentrate on more pressing matters and execute your duties more efficiently. However, you have to be careful while delegating tasks and ensure that each employee is given a task that they can handle. Accept challenging deadlines with a positive frame of mind. Attempting to push deadlines further down will only add to your headaches and require you to work overtime in future. Try to complete your projects on time to ensure that your work schedule is not affected. Unnecessary distractions can waste your precious time and throw your work schedule into disarray. Block out all distractions and only focus on the task at hand. Social media networks, calls from friends and relatives, and instant messaging are some of the major sources of distractions at work. Avoiding these distractions can help you to manage your time better. One of the most effective ways to improve the time management plan for your employees is by making use of employee time management software. Chrometa is a user friendly mobile time tracking app that can greatly increase the productivity of your workforce. To learn more about Chrometa, call us at +1 916 546 9974, or send us an email at sales@chrometa.com. How Can Time Management Benefit Small Business Owners? Time is a priceless resource that cannot be wasted at any cost. Small business owners often find it hard to create an effective time management plan that ensures the proper completion of all essential projects on time. A proper time management plan will allow business owners to manage their organization’s operations in a smooth and coherent way. A well-ordered task schedule reduces the chances of making careless mistakes. One of the major factors behind the success of any business is a good time management plan. It helps its employees properly organize their activities and raise their efficiency level. This translates into overall growth for the business and creates a work environment that is akin to a well-oiled machine. What can a good time management plan enable your business to accomplish? It is hard to think up good business strategies if you spend most of your time focusing on routine business operations. A proper time management plan will allow your company to sort its activities in a way that minimizes wastage of time and ensures that each of them is completed within a specific period. This will give you the opportunity to focus on more important things like business planning and strategizing. Cutting down on time wastages at work can allow you and your employees to have enough time to engage in leisure activities with your family and friends. A relaxed employee is a productive employee! Enabling your staff to have enough time to relax will have a positive effect on the productivity of your business. How to improve your time management plan? Planning for a project well in advance is vital for ensuring its success. It will give you enough time to thoroughly examine every aspect of the project and prepare for dealing with any problem that could hinder its successful implementation. No time management plan is effective until your task list is properly prioritized. Your business will only be able to meet deadlines if your projects are prioritized correctly. Unforeseen events, such as equipment malfunctions, can often leave your business activities in disarray. When scheduling your projects, make sure that you have allocated enough time to deal with issues that could disrupt your operations. The most effective way of coming up with a good time management plan is by using an online time tracking tool. It will help you properly prioritize your tasks and enable you to cut down the amount of time your employees waste at work on unproductive activities. Chrometa offers quality time management software that allows you to maximize the potential of your business. You can sign-up for a free 30-day trail to test the efficacy of our product. To know more about our time tracking app, speak with us at +1 916 546 9974, or reach us via email us at sales@chrometa.com. Projects cannot commence without a plan. To produce a realistic plan, you need significant knowledge about crucial business aspects including personnel, resources, and strategic objectives. However, with project management, you can stay on top of the game, assuring that only the best practices are implemented. Moreover, it ensures that resources are allocated effectively, making best use of time, money and employees. When managing projects, time is one of the most crucial resources to consider. It is an invaluable criterion for project managers to determine if the project is being operated as intended or not. Furthermore, time management is crucial when it comes to resource maximization in collaboration with other resources such as personnel and money. Typically, employees are paid for two things: their time and skills. Therefore, it is their duty to be present at work for required number of hours each day, fulfilling duties within the prescribed time. A project manager must be aware of how to establish priorities. This is done by allocating more time to important tasks, providing room for high-quality work. Furthermore, consistent feedback and reporting can also offer project managers with insight on how smoothly the project is working, under coordination and active communication. Remember, it is easy to execute project management if everything is carried out within the established frame of time. Focus on time when making crucial business decisions. Make strategic modifications. When you alter time frames, it will impact results. This is the reason why during the initial stages of planning projects, you should hire project managers who are skilled to produce sound estimations. Also, mitigating risk is a crucial component of business management. This involves anticipating potential risks, developing schedules, allocating resources, delegating responsibilities, and more. Risk mitigation can make the work process smooth, overcoming challenges and unanticipated obstructions. All in all, project management is crucial because it ensures that projects are executed in accordance with the devised plan. Remember, the significance of time for projects cannot be overstated. Therefore, to effectively utilize time, you must encourage your project managers use time tracking solutions. Establish clear expectations, deliverables, and deadlines etc. With Chrometa, you can encourage your employees to record all their time spent on computers and mobile phones (Android & iPhone) passively. This will further help them make effective use of business time, increasing billable hours, and receiving payments owed by clients to your business. The significance of employee morale is a subject of discussion that should be a main concern for all organizations. As workplaces go through vivid transformations, leaders must learn ways of managing employees differently. In order to raise morale, leadership must be flexible and pioneering. How much effort are you putting into gratifying employees that go beyond the call of duty for your business? What benefits are you offering to motivate improved performances? While you may be a business operating on a small scale which cannot afford extensive incentives for employees, there are quite a few inexpensive ways at your disposal to heighten employee morale and stimulate your staff to work harder towards your company’s growth. There are countless ways to illustrate employees your appreciation. When they perform well, they do wait for some sort of acknowledgment in return for the hard work. This is a great way to boost employee morale within your small business. Keenly communicate with your employees, alert them of modifications, and give them the chance to articulate themselves. When your employees feel gloomy and de-motivated, they may not feel that the company and/or their job are secure. As a result, they may not work as hard to help you improve your business. By providing them with an interactive working environment, you can keep them happy, contented and on their toes. There are instances when employees get rewarded for their performance, but they aren’t sure of how well they have performed. As a result, they don’t consider rewards as meaningful as they should. Needless to mention, most employees like to be appreciated and rewarded purely based on merit. Have software and tools to record their performances, which you can show them later to make them feel proud of themselves. For example, you can have a time tracking app in place which will record every minute of their effort that went into winning a client over email or a phone call. Rewarding employees based on this performance will definitely boost their morale and motivation to work even harder. Constructive criticism does a great deal for employees to make them grow and learn over time. However, criticizing them too much be taken in the wrong way. While it is good to keep communication lines open, it’s rather best to not be overcritical. The top way to stab employee morale is to constantly focus on the negatives without even once recognizing the smaller achievements. Thus, provide constructive feedback, whenever feasible. Employees love being innovative and coming up with new ideas, but more prominently, employees need to be convinced that the organization is fully supportive of their thoughts and implementation of new ideas and strategies. As a leader, don’t give your word until you plan on keeping it, as this sets an incongruous tone where employees can immediately lose trust in the vision of your organization. Want to boost employee morale through an online time tracking software? Get Chrometa now! In addition to its unique features, Chrometa tracks the amount of time you spend on each e-mail, along with the e-mail address of whom you sent the e-mail to or who it was from. Learn about our pricing structure or read the reviews. With a time tracking program, you need not worry about inaccurate information in your timesheets. Automated timesheets record activities automatically when you’re working. The software runs in the background and tracks all activities that are being performed. This means that whatever information is being recorded is accurate and reliable. Unlike manual timesheets, you need not worry about remembering your activities to put them down in your timesheet. It’s all done for you through the software! Automated timesheets saves you from incurring unnecessary extra costs and prevents you from adding financial burden to your business. When a time tracking program is implemented, timesheets are created automatically, thus your paper costs are reduced. Losing information also costs the company, and even this risk is eliminated with timesheets as they track and record all information even if you forget. Thus cost savings! Time tracking programs can be installed on a computer and even a mobile phone. You can access your timesheets on the go. When your time tracking program is installed on your mobile phone, it’ll create timesheets even when you work through your smartphone. Easy, isn’t it? Automated timesheets give employees the power to see what is being recorded in their timesheet, and also make amendments to them, because at the end of the month, they’ll be paid according to their timesheet. It also increases their morale as they are encouraged and appreciated based on their performance tracked through a time tracking program. They are aware, that with this program, their hard work will be appreciated. Obviously, implementing a time tracking program has some associated costs. You’ll have to make an investment in order to get an efficient time tracking program that’ll benefit your company. However, if utilized and implemented in the right manner, this investment has huge returns. With automated timesheets, you’ll reduce payroll errors and with accurate reliable information you’ll be sure that you’re only paying for productive hours. If you’re looking to switch from manual to automated timesheets, get Chrometa now! Our incredible software prepares accurate timesheets for you without any hassle. Also with our android and iPhone time tracking app, you can create and access timesheets even when on the go! Are you getting paid for the client phone calls you make and take from your iPhone or Android phone today? How about the emails you send to clients from your smartphone? Gmail users, we now have a way for you to track the time you spend writing and reading emails on your smartphone (any model running Gmail, which means iPhone or Android or other). To set this up, you’ll simply connect your Chrometa account to your Gmail account and we’ll pull in the time spent on each email to your timesheet, along with the To/From/CC info and the Subject Line. From there, you’ll be able to print your timesheet, export it to Excel, or send it to one of the 10+ billing / practice management systems that we integrate with. I’ll demonstrate this new feature on our “Feature Friday” webinar that we’re co-hosting with LexisNexis later this week. You can sign up to join us here. Our Android app helps you bill for all of your client phone calls and even text messages. You can download it from the Google Play store right here and hook it up to your existing Chrometa account. I’ll demo phone call and text message capture live on this Friday’s webinar. In addition to our Gmail for smartphone support, we still offer dedicated time capture for Microsoft Outlook, Gmail, and Mac Mail from your computer. This means you’ll get the To/From/CC info of each email, along with the Subject Line. Microsoft Outlook users can install our Outlook Add In right here. Gmail users can grab our Google Chrome Plugin here. And Mac Mail users don’t need to do anything – your plugin is already baked into our Mac Time Tracker. With keyword-based rules, you can “teach” Chrometa how to create most of your Timesheet for you each day. Which means you’ll only need to do some quick cleanup and annotations…resulting in the most comprehensive and accurate timesheet you’ve ever created. Here’s a short video available “on demand” that’ll walk you through how this works. (And yes, of course I’ll demo this feature live on Friday as well). Our Time Matters integration works like our other integrations – so the demo should benefit you no matter what system you’re connecting Chrometa to. You can sign up for our co-hosted webinar here. PS – If you can’t make it live, sign up anyway so that we can get you a recording afterwards. PPS – Check out our slick new demo video below… and let me know what you think! Mobile Gmail Time Tracking for iPhone & Android is Here! Gmail users, we now have a way for you to track your time spent on email from your phone. For Android, iPhone, and any other phone that uses Gmail. Go to Account – Integrations and select Gmail for Smartphones. Then click Connect With Gmail. You’ll be redirected to a Gmail authorization page, and asked to pick a Gmail account (if you have more than one) to connect with Chrometa. Hint: If you do have more than one Gmail account, and you want to capture all of your mobile email time, then choose the account that you route all of your Gmail into. See: How to combine your Gmail accounts into one inbox. Enter your Chrometa login email and password one more time to make the connection between Gmail and Chrometa. You’ll Now See Mobile Gmail Time Tracked in Chrometa! By default, we’ll assign a 2-minute duration to each email you read and each email you compose from your phone. You can adjust this default setting under Account – Integrations – Gmail for Smartphones. You’ll now see your “on the go” emails ported in under your mobile device (iPhone, Android, or other). As with our PC and Mac-based Gmail tracking, you’ll get the Subject Line of the email, along with the email address of the folk(s) in the To, From, and CC lines. You can annotate these entries and assign them to clients and projects (or matters). You can also have our keyword-based rules engine do this categorization automatically for you. For example, you can tell Chrometa that all of your emails from a certain email address or certain domain should always go to a specific project (or matter). Here’s the link to register. If you can’t make the live session, sign up any way so that we can email you the recording afterwards. (Though I’d recommend attending live if you can, so that I can demo any specific features you’d like to see – just ask during our Q&A). PS – TimeMatters users, we’ll be showing you exactly how to hook up your Time Matters account to Chrometa. Need to Add Passive Timekeeping to a Device? Expense reimbursement is crucial for efficient management of resources, especially when your employees are constantly traveling for business purposes. Depending on your reimbursement policy and procedures, these compensations can significantly affect your profits and the overall growth of the business. For businesses that are seeking both efficiency and convenience when it comes to reimbursement of expenses, Chrometa is one of the best solutions available today. With its accurate online time tracking software system, the application allows you to cut back on your business expenses without compromising on your needs. Let’s take a look at how Chrometa can help you streamline your business operations. Using Excel or other non specialized programs can make the reimbursement process unnecessarily long and tedious. Since the reimbursement process typically requires employees to scan and attach relevant receipts and documents for approval from their manager or the finance department, it may take much time and effort to compensate them. allows you to record the precise time, so it can help you generate more accurate expense reports in a more efficient and quicker manner. 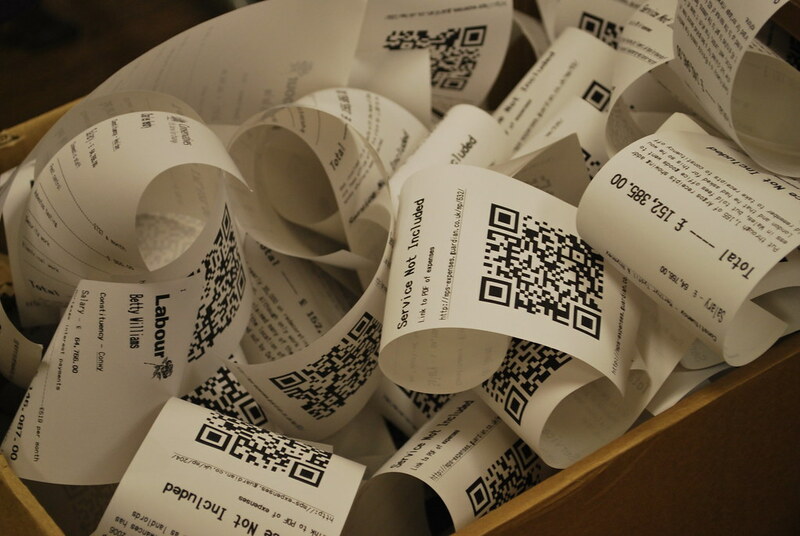 With Chrometa, employees no longer need to carry receipts during traveling. All they need to do is to install the Chrometa mobile app on their phones to create a time entry for each meeting and activity while moving around. The application can manage their timesheet precisely to generate the relevant reimbursement statements, whenever required. Chrometa allows companies to treat the entire workforce fairly and equally. With an efficient reimbursement system in place, you can ensure uniformity and consistency throughout the system to avoid compensation issues and other related problems. With greater accountability, the Chrometa app can help you avoid system abuse. This means that you can eliminate irrelevant costs and expenses, which can radically improve your overall profits. Also, by reducing extra expenditures, the app can enable you to make your system more efficient and effective for long term growth and success. Chrometa app is available for both iOS and Android phones to facilitate billable time entries as well as to calculate their expenses precisely wherever they go. Check out the pricing plan of Chrometa to get the app for an efficient and productive system today!